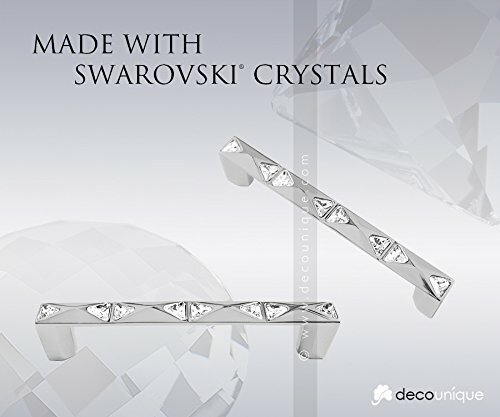 DecoUnique pull handle encrusted with clear Swarovski® crystalsLength: 4.61 inches (117mm), Projection: 1.02 inches (26mm), Drill Holes: 4.02 inch (102mm). Finish: satin chrome, Crystal colour: clear. Item condition: new. 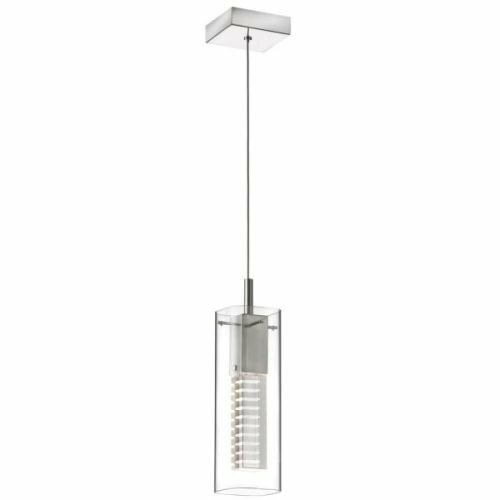 Available in the following finishes: polished chrome, brushed chrome, satin chrome, polished nickel, brushed nickel, satin nickel, polished black nickel, satin black, polished brass, brushed brass, gold and rose gold. Mounting hardware included. GuaranteeIf for any reason you are not satisfied with any of our products, simply return them to us in their original condition within 30 days and we will refund the full price of the product. 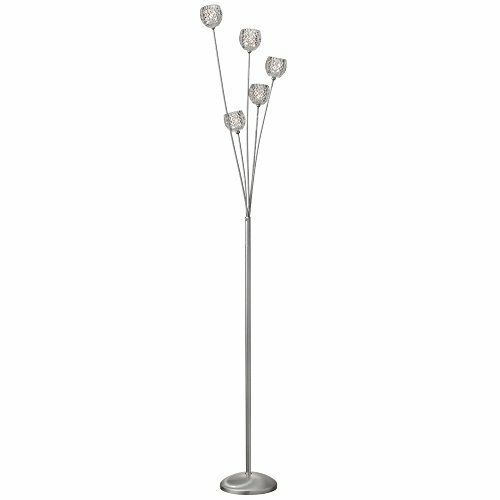 making it ideal for modern décor schemes in a variety of room settings. 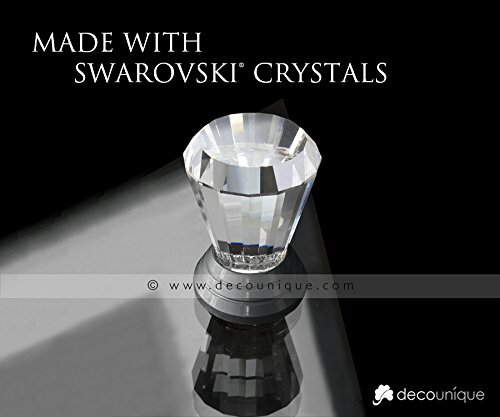 DecoUnique pull knob encrusted with clear Swarovski® crystalsProjection: 0.98 inches (25mm), Diameter: 1.10 inches (28mm). Finish: brushed chrome, Crystal colour: clear. Item condition: new. Available in the following finishes: polished chrome, brushed chrome, satin chrome, polished nickel, brushed nickel, satin nickel, polished black nickel, satin black, polished brass, brushed brass, gold and rose gold. Mounting hardware included. 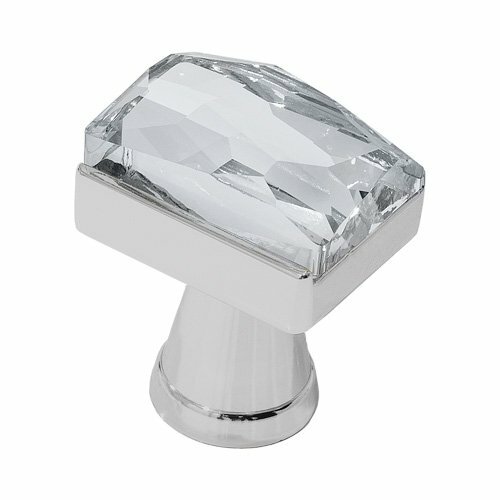 DecoUnique pull knob encrusted with a clear Swarovski® crystalProjection: 1.18 inches (30mm), Length: 0.95 inches (24mm), Width: 0.79 inches (20mm). Finish: satin chrome, Crystal colour: clear. Item condition: new. Available in the following finishes: polished chrome, brushed chrome, satin chrome, polished nickel, brushed nickel, satin nickel, polished black nickel, satin black, polished brass, brushed brass, gold and rose gold. Mounting hardware included. GuaranteeIf for any reason you are not satisfied with any of our products, simply return them to us in their original condition within 30 days and we will refund the full price of the product. 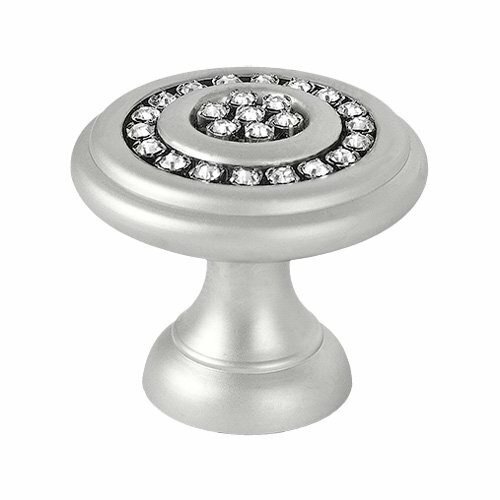 DecoUnique pull knob encrusted with a clear Swarovski® crystalProjection: 1.22 inches (31mm), Diameter: 0.79 inches (20mm). Finish satin chrome. Item condition: new. Available in the following finishes: polished chrome, brushed chrome, satin chrome, polished nickel, brushed nickel, satin nickel, polished black nickel, satin black, polished brass, brushed brass, gold and rose gold. Mounting hardware included. GuaranteeIf for any reason you are not satisfied with any of our products, simply return them to us in their original condition within 30 days and we will refund the full price of the product. 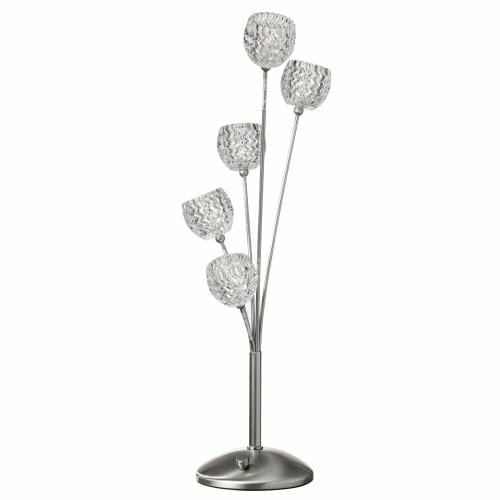 This table lamp will update your home with its modern and eye-catching design. 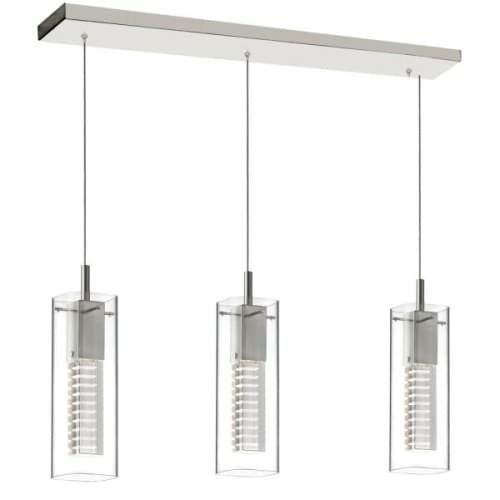 This fixture will accommodate a variety of décor styles. With its easy installation and low upkeep requirements, this table lamp will not disappoint. Looking for more Sc Satin Chrome Crystal similar ideas? Try to explore these searches: Hillsdale Furniture Large Cherry, Fluted Round Baking Pan, and Loaf Pan Candle. Look at latest related video about Sc Satin Chrome Crystal. Shopwizion.com is the smartest way for online shopping: compare prices of leading online shops for best deals around the web. Don't miss TOP Sc Satin Chrome Crystal deals, updated daily.